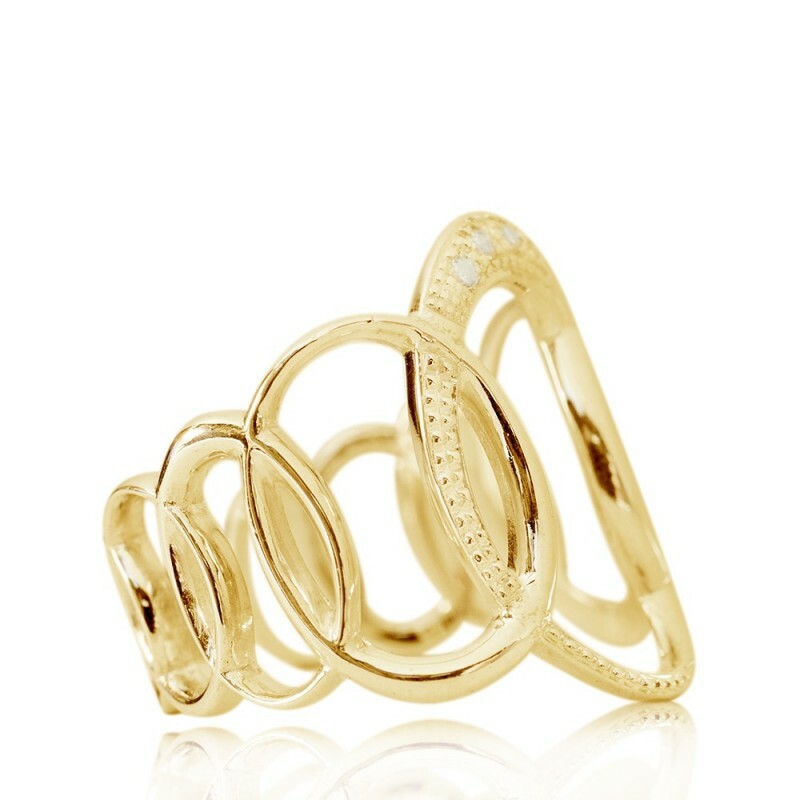 18cts yellow Gold ring with different ellipses, following the MdeU logo, and three brilliant cut diamonds. The oval is an artistic element prominent in the MdeU logo; seven distinct ovals form the silhouette of the tiara, a sign of the MdeU identity. This collection is based on the oval, which is present in all other collections in different ways. Two rotary ellipses pendant with 40 cm chain. All made in 18 ct white gold and a brilliant cut diamond. 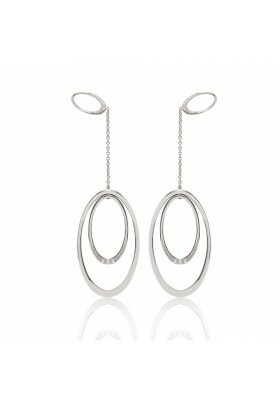 18ct white gold earrings with an oval and 3 chains of different length, the longest being 37mm. Each oval carries a 1mm diamond. 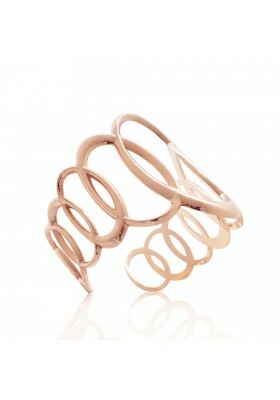 They can be detached to be worn with or without the chains. 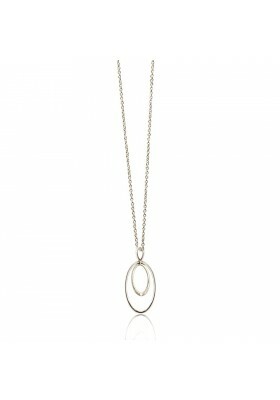 Rhodium plated 925mm Silver necklace shaped as an ellipse of 6cm and a spike chain of 80cm. 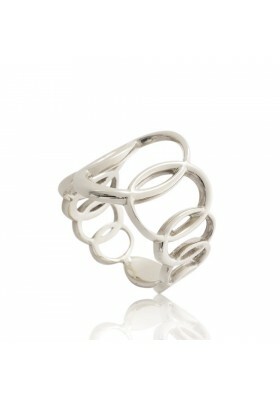 18cts white Gold ring with different intertwined ovals, following the MdeU logo. 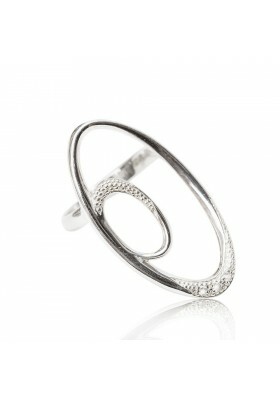 18cts white Gold ring with two different size ellipses and three brilliant cut diamonds. 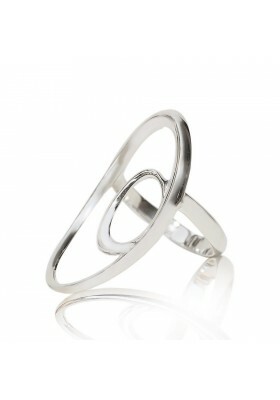 18cts white Gold ring, with two different size ellipses and three brilliant cut diamonds. 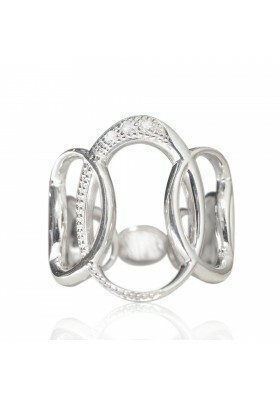 18cts white Gold ring with different ovals intertwined following the MdeU logo design, and three brilliant cut diamonds. 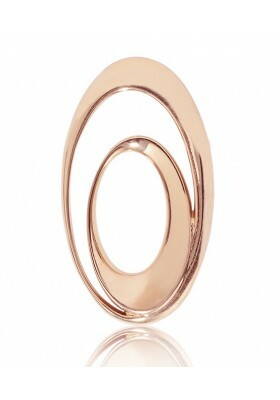 18cts rose Gold ring with different ovals. following the MdeU logo design and three brilliant cut diamonds. 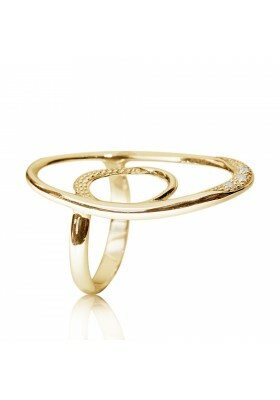 18cts yellow Gold ring with two different size ovals and three brilliant cut diamonds. 18cts rose Gold ring with two ovals different size and three diamonds of 1mm diameter. 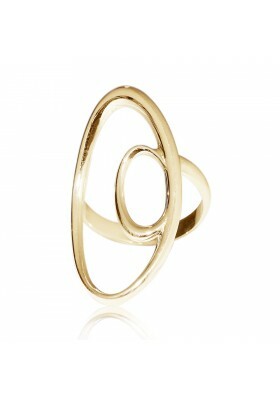 18cts yellow Gold ring with two different ovals and three brilliant cut diamonds. 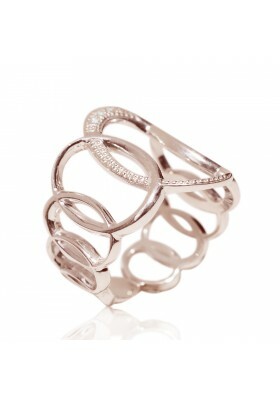 18cts rose Gold ring with two different ovals and three brilliant cut diamonds. 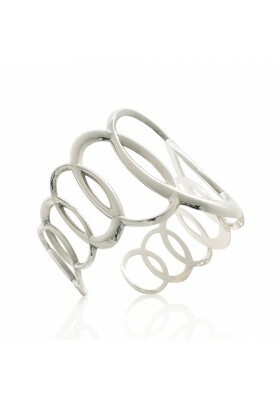 925mm Silver bangle with nine different ovals, following the MdeU logo design. 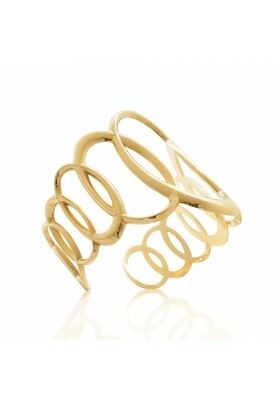 18cts yellow Gold plated 925mm Silver, with nine intertwined ovals, following the MdeU logo design. 18cts yellow Gold pendant with two ellipses and a small diamond, in a 16" yellow Gold chain. 18cts pink Gold necklace with two ovals and a small diamond on a 16" pink Gold chain. 18cts yellow Gold earrings with three pieces of chain of different length and an oval shape with a small diamond on top which can be used separately removing the detachable system. 18cts rose Gold earrings with three pieces of chain and an oval shape on top with a diamond. 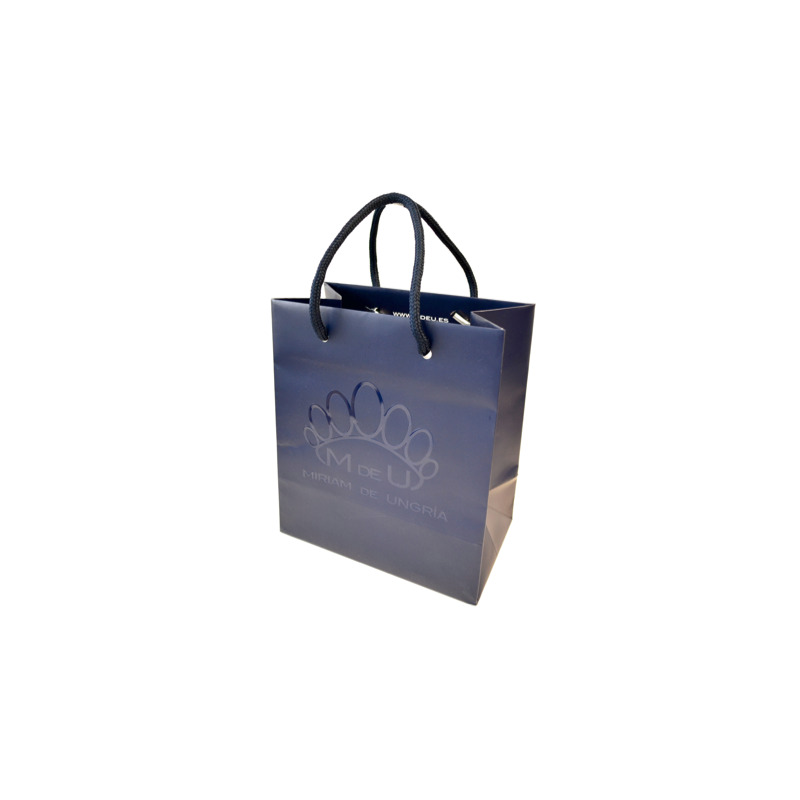 They can be used separately due to a detachable system. 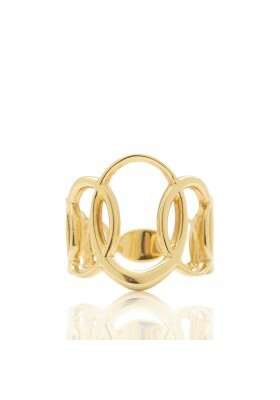 18cts yellow Gold ring with different ovals, following the MdeU logo design. 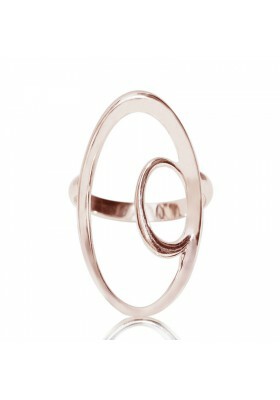 18cts rose Gold ring with different ovals following the MdeU logo design. 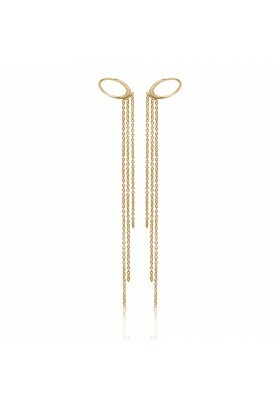 18cts yellow Gold earrings with two different size ovals which move freely hanging on a chain. A detachable system allows to use the top oval alone. Stones: 8 brilliant cut diamonds, 1mm diameter. 18cts rose Gold earrings with two ovals with a free movement, pending on a detachable chain which allows the oval top be used alone. Stones: 8 brilliant cut diamonds of 1mm diameter.